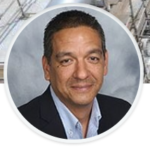 Marc Talamantez joined Summit Midstream in 2015 as the Director of Measurement responsible for all things related to oil and gas measurement across each region for the company. Prior to joining Summit Midstream, he worked as the VP of Engineering Services for a Houston System Integrator, worked with an engineering firm as a Senior Principal Technical Professional and served as the Global Software Manager for 15 years with a Global Leader in Custody Measurement Systems. Marc brings 25+ years in measurement and engineering experience to the role currently held. Please be aware that registration for this event closes the Monday before the event at noon. Walk-ins are still welcome to come to the event and pay on site the day of the event.